Let's give a warm welcome to Olivia deBelle Byrd, a real Southern Belle. Please check out her website, and let me know what you think of it when you are done. 1. Please tell readers about your current book. Miss Hildreth Wore Brown--Anecdotes of a Southern Belle is forty-one humorous, satirical anecdotes of a romp through Southern life. I like to call it real-life fiction as all the people, places and events are real, but like all good Southern stories exaggeration and embellishment have been added. The stories are punctuated with everyday mishaps that Southerners seem to have a knack for turning into entertainment. Because they are actual occurrences, the reader is drawn into the warmth and familiarity of the characters and their stories. 2. Who or what inspires your writing? In writing this first book, Miss Hildreth Wore Brown, I wrote what I knew--humor and the South. Since I was raised by a Southern father and grandmother of uncommon wit, the fabric of my childhood was laced with humor. I grew up surrounded by marvelous tales of Southern grande dames and eccentric Southern gentlemen. Humor was a staple in our household. My grandfather, Wyatt Oates Byrd, moved to Panama City, Florida, in 1930 from Alabama so my roots run deep. I am what we call Old South. I have loved the art of storytelling as long as I can remember. 3. When did you know you would be a writer? I call myself “an accidental author.” Like all good storytellers, I hate to waste a good story so I repeat my stories--often. Finally in exasperation one day, my husband said, “Why don't you write this stuff down?” So I did. I actually started writing down stories for my children as a Christmas gift. Before I knew it, I had a book! 4. How long did it take you to write your first novel? In November of 2007, I read a humorous anecdote to my husband and daughter I had written several years earlier. They looked at me with their mouths agape and said, “Honey/Mom, that is really funny!” Between this encouragement and my husband's bid to shush me up, I put pen to paper and for six months the stories flowed forth as freely as water from a faucet as though an age-old tap had been discovered and turned on. Of course, it was another long and patient two years before it was accepted by a publisher and published. Writing down oral stories is very difficult. You tend to write like you talk and it often comes out confusing and opaque. There is an art to telling stories and an art to conveying those stories in the written word. Unfortunately, my mind races all over the map and my writing comes to me at the most unexpected times. I do make an outline and research anything I am not sure. I am continually writing down thoughts and phrases as they come to me even if it is the middle of the night. I keep pencil and pad by my bed, in the car, and in my bathroom! I listen to people and am always alert for a funny story. Many of my tales surfaced in the quiet of church, where it seems much of Miss Hildreth was written on the back of offering envelopes. It would probably be best if my preacher never discovers this little fact! 7. Have you written any thing else? Though I do have some ideas bouncing around in my head, my main goal right now is marketing Miss Hildreth. While on blog tour in April, I have written several guest author posts that have been a lot of fun. 8. Any advice to aspiring writers? There are no shortcuts and no replacement for hard work and discipline. The publishing business is extremely tough and competitive. Grow a thick skin and develop tenacity. If you believe in your writing, do not give up. I can not narrow it down to just one author. My most loved book is A Tale of Two Cities--I love all of Charles Dickens' works. My other favorite English author is Daphne du Maurier. William Faulkner, Taylor Caldwell, and John Steinbeck are all favorites. Pat Conroy is my favorite modern day author. The Prince of Tides is one of my favorite books. I have read and loved all of Pat Conroy's books. He is a master of words and descriptions. You can sense and feel his settings and his characters become a part of you. 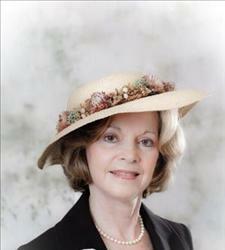 Anne Rivers Siddons has especially strong women characters. As a Southern humorist, Fannie Flagg can not be beat. My favorite book is A Tale of Two Cities followed closely by Harper Lee's To Kill a Mockingbird. Rounding out my top favorites would be The Prince of Tides, The Great Gatsby, Taylor Caldwell's Captains and the Kings, and, of course, being the Southern Belle I am the list would not be complete without Gone With the Wind. One of my goals each year is to read some classics. I just finished Edith Wharton's Age of Innocence and Gustave Flaubert's Madame Bovary, both beautifully written. A modern great book I just finished is The Guernsey Literary and Potato Peel Pie Society by Mary Ann Shaffer and Annie Barrows. I could not put it down. It is one of the most endearing books I have ever read. I just started a book given to me as a gift, Nora Ephron's I Remember Nothing and Other Reflections. This should be right up my alley! 12. How do readers find out more about you? You can read an excerpt, see my coming events, email me, and order a book. I am on an April blog tour right now, which you can follow on my web site. It is great fun! 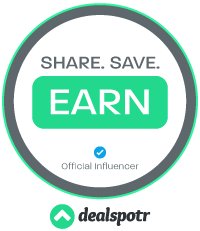 I love to interact with my readers, so feel free to email me. Morgan James Publishers is delighted to report that its first printing of Miss Hildreth Wore Brown—Anecdotes of a Southern Belle by Panama City, Florida, author Olivia deBelle Byrd, sold out in less than two months and is now on the best seller’s lists. With comparisons to Fannie Flagg, Olivia deBelle Byrd offers up storytelling written in the finest Southern tradition. With wit and amusement, Byrd delves into the world of the Deep South with all its unique idiosyncrasies and colloquialisms. Essays in the collection include characters who dance across the page from Great-Aunt Lottie Mae, who is as “old-fashioned and opinionated as the day is long,” to Mrs. Brewton who calls everyone “dahling” whether they are darling or not, to Isabella with her passion for mint juleps and drama, both in equal measure. As Byrd criss-crosses the South on a book tour, she says she’s tickled that people are connecting with the stories. “I grew up with one of those double Southern names that kids just can’t wait to make fun of,” Byrd says. “Mine was deBelle. So I guess humor was the way I learned to deflect it. Besides, everybody needs a good laugh.” For Olivia deBelle Byrd, the laughter is paying off. 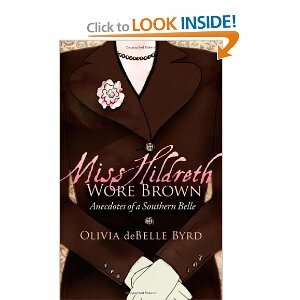 Miss Hildreth Wore Brown – Anecdotes of a Southern Belle is now on the best-seller’s list with “deBelle” showcased right on the cover. I loved this book. I'm going to have my review and interview at the end of the month. I absolutely loved this book, I'm looking forward to the author's next one.